Dog Collar, Nylon Adjustable Dog Collar-Hi-Light International Inc.
We also have size in metric for your option. 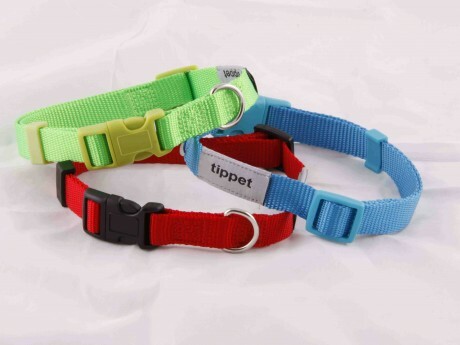 This nylon dog adjustable collar is with good quality. Heavy Duty Side Release Plastic Buckle. Sturdy Nylon Webbing and Durably Sewing. Welded Steel D-Ring with Nickel Plated. Adjustable nylon webbing to have best fit your pets. Matching Plastic Color Buckle for option. Sewing logo label to promote your brand. Different webbing colors are available.